How do you put a value on an advice? It could be said that an advice is valuable when it helped make a decision. It’s always a bonus when professionals sincerely thank me after a consultation. 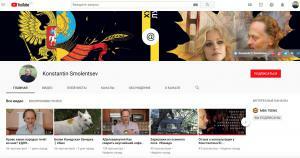 Now, you can watch those thank you’s in a playlist called “Testimonials*” on Konstantin Smolentsev’s YouTube channel.